Did you know? Our tutors have over 50 years combined tutorial experience! Roger holds an M.Ed. In Counselling Psychology from the University of Manitoba. He has worked for community service / development agencies in job development and vocational counselling and educational administration with the private high school system, vocational rehabilitation agencies and Red River College prior to starting Education and Employment Preparation Services in 1992. He has also been involved with many boards, and networking, developing programs and services for adults with disabilities. These include; Canadian Centre on Disability Studies (Education Chair of the CCDS board), Association of Higher Education and Disability (Member of Executive), University of Winnipeg Disability Services (Writer of learning specialist manual and learning disability orientation curriculum), Closing the Gap and CSUN Technology and Disability (Active member), Manitoba and Canadian Learning Disability Association (LDAM education chair and delegate to the Russia and China learning disability consultations), and University of Kansas Learning Disability Research Institute (Staff training development). 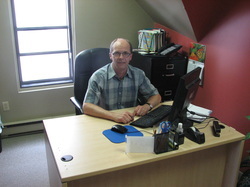 Employment-wise, Roger has also worked as a vocational rehabilitation consultant with Worker's Compensation Board and Mike Manning and Associates and in student services with St. Boniface Diocesan and Red River College disability services. He has also been a vocational counselor within Corrections Manitoba and several youth community organizations. Roger currently provides vocational counsel and assessment for adults with disabilities or in employment transition for a number of local agencies including Employment Manitoba, Workers Compensation Board (Manitoba, Saskatchewan, and Ontario), and Canada Pension Plan. He is presently obtaining training for the HNCP (Holistic Narrative Career Professional) designation to provide a broader range of vocational counsel and assessment services. Bernie holds Bachelor degrees in Education and Arts from the University of Manitoba. He taught for seven years in the Winnipeg Mennonite Elementary School , followed by three years of Adult Education in Kentucky. There he specialized in teaching literacy and GED. He joined the Education and Employment Preparation Services staff in September 1995 and currently holds a dual role with the company as a tutor and employment specialist. 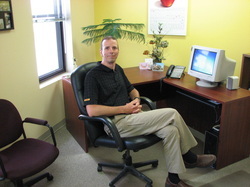 Carl holds Bachelor degrees in Arts, majoring in Psychology from the University of Winnipeg and Theology from Canadian Mennonite Bible College. 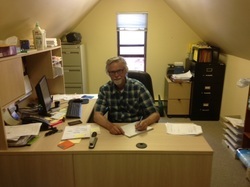 Prior to coming to Education and Employment Preparation Services, Carl was a Dean at Rosthern Junior College where he was responsible for the welfare of the students living on campus. Having been with Education and Employment Preparation Services since 1993, Carl has worked with learning disabled students, taught learning strategies and tutored in a variety of fields. Carl obtained a Certificate in Conflict Resolution through Mediation Services and was an active volunteer mediator with their program for over 10 years. He completed a workshop on Accelerated Brain Based Learning and assisted with the tutor training program for the University of Manitoba Academic Learning Centre for several years.